The Art of Dentistry Institute can provide you with a dentist in Laguna Niguel to match the agreeable temperament of this community’s mild coastal climate. Dr. Emil Hawary places the utmost emphasis on making his patients feel comfortable and at ease. We uphold comfort and care to high standards, and we apply the same high standards to the general dentistry and cosmetic dentistry services we offer. The Art of Dentistry Institute first learns the unique needs of our patients for better, more beautiful smiles, then helps them choose the best solutions to meet those needs. How can we help you get the smile you deserve? Dr. Emil Hawary is the founder of the Art of Dentistry Institute. He has years of training and knowledge that he has applied as a dentist in Laguna Niguel to become the area’s best. He has won numerous awards and gold medals in the Smile Gallery competitions of the American Academy of Cosmetic Dentistry (AACD). His work has been featured in a number of dental health journals and can be seen on our own Smile Gallery page. Dr. Hawary is also an Accredited Fellow of the AACD, an honor only 60 individuals worldwide can claim and the only dentist to have achieved this status in the Irvine and Orange County area. The AACD values excellence in dental health, and Dr. Hawary and the Art of Dentistry Institute are proud to uphold these values to help you find your perfect smile. Here at the Art of Dentistry Institute, we put a great amount of care into each and every dental health procedure. Giving the people of Laguna Niguel the smiles they deserve is our passion, and our work reflects this passion. Our general dentistry services include bonding, bridges, crowns, dentures, and more. Our services focus on making your teeth and jaw functional again. Solving sleep apnea is another service of ours that our clients request to help them have more beautiful smiles. For our cosmetic dentistry offerings, we offer the most advanced procedures to help you achieve the perfect smile. Entire smile makeovers rework the teeth and jaws, beautifying one’s smile by creating a more youthful appearance. 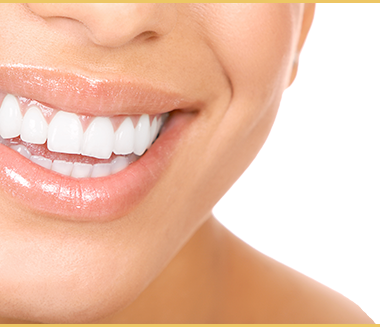 Veneers and teeth whitening are also offered to enhance your smile into the vision of perfect beauty.